When Topps announced their Living Set in 2018, they stipulated that no players would be duplicated in the same uniform. 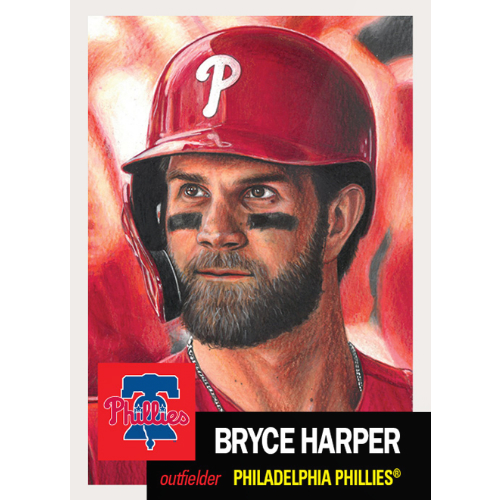 With 165 cards now released, Bryce Harper -- who just signed a monumental contract with the Phillies -- becomes just the second player to receive a duplicate card. His first card (#13), in a Nationals uniform, sold 9,515 copies and his current and presumably final card (#163) is available until the first week of April. The only other player, to this point in time, to have more than one card in this set is Manny Machado (#37 w/ Orioles, #88 w/ Dodgers) who is very likely to have a third release during his tenure on the San Diego Padres. As always, this week's release came in three with rookie Sean Reid-Foley of the Toronto Blue Jays (#164), and Milwaukee Brewers star, Ryan Braun (#165) both being added to the ever-expanding checklist. 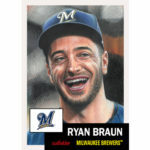 Topps Living Set cards are available for purchase for seven days as online exclusives and are only printed based on demand. A final print run for each of these cards will be available on our checklist which can be viewed under the main tab of this hub page. Harper marks the ninth Philies card to be released in this set. 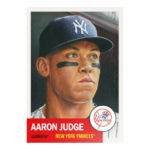 The first eight releases, which include four rookie cards, have sold 45,812 copies for an average print run of 5,726 per card. 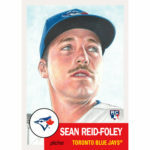 Reid-Foley is the second rookie card released for the Blue Jays whose four previous cards have an average print run 4,439. The Brewers, previous to this week's release, were one of three teams to have only three cards released. Their average print run of 4,876 ranked them right in the middle of the 30 major league teams (16th place as a matter of fact) but their total print run is the third worst, only ahead of the Royals and Tigers. The addition of Braun to this series is sure to help the team surpass at least one team (the Giants) on the bottom of the list. Use any of the links on this page to purchase your copy of these cards. Once sales close, you will find eBay links on our checklist.